A favorite Victorian wedding and holiday tradition is to hang floral kissing balls in archways, doorways or outdoors. These festive floral arrangements add a spark of color and an elegant feel to any room. 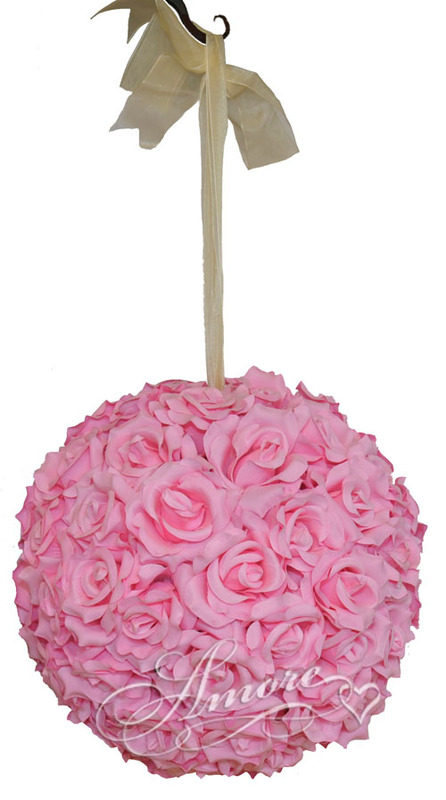 Our 6 inches Pink Roses Kissing Balls match with our silk rose petals and wedding hand ties. They are made with high quality silk open roses. Ribbon included !